In UAE, Customers have updated the bank record by submitting their Emirates ID by February 28, 2019, in sense of safety and in order to get rid of suspension of their debit and credit cards. 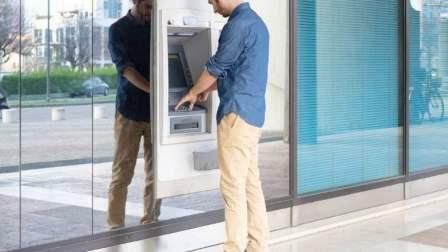 Earlier this month in the circular issued, the Central Bank of the UAE advised to banks and financial companies to create and generate the knowledge and awareness through the media operating system that fails to do, would result not being able to use ATM cards to withdraw funds or conduct direct transactions as well as stopping credit card transaction after February 28. Chief Executive of Al Etihad Credit Bureau, Marwan Lutfi said, that if the customers fail to submit their record in banks then banks would suspend the debit and credit cards, he said, "It is the duty of the individual to ensure that the information is up to date." Mr. Lutfi said, "Over the past few years, there has been a constant effort by all the banks in the community but now a time limit has been set," also he said, "If customers fail to meet the February 28 deadline, banks will suspend debit and credit cards. After three months their cards would get suspended completely." He pointed out that customers who do not obey with the directive would not be able to extract money from automated teller machines. They will also face stoppage of direct debit and credit card transactions until they provide their Emirates Identity Card. Also, he pointed out and highlight the customers who do not obey with the directive would not be able to extract money from automated taller and guided machines. They will also face the restriction of direct debit and credit card transactions until they avoid their Emirates ID. Although, the suspension of ATM cards will not prevent and stop the customers to withdraw money from the account or directly from the branch of any bank for the time being.